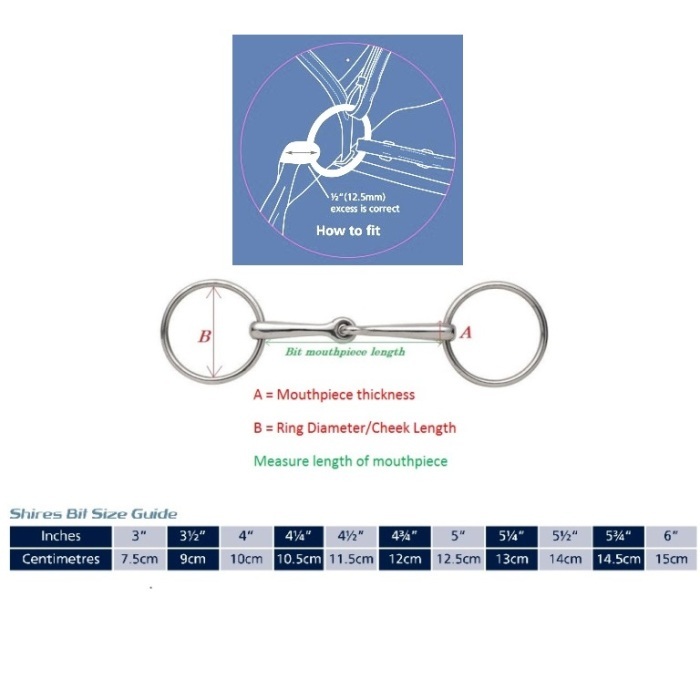 Chifney bit or 'Ring Bit' from Shires Equestrian. 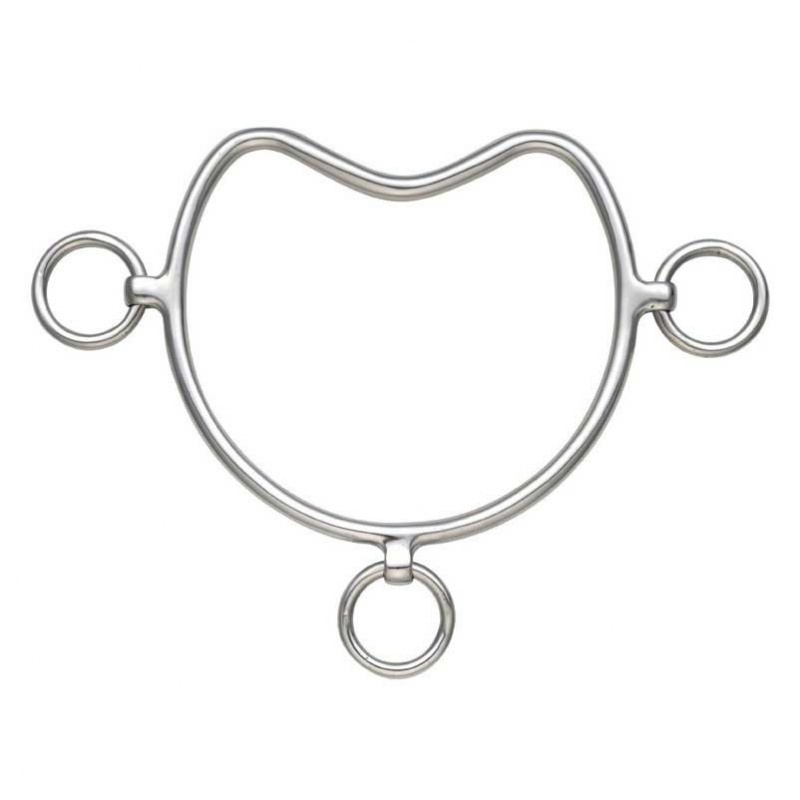 This chifney bit is used to ensure the safety of the handler when leading horses that have a tendancy to rear. It is also used to lead young thoroughbeds, stallions and undisciplined horses and ponies. 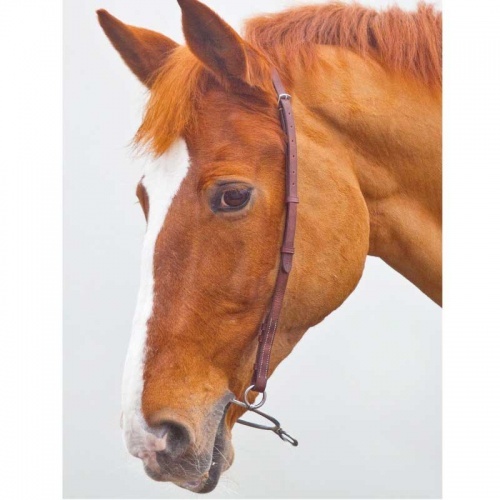 This bit should be used by experienced handlers and never used for riding. 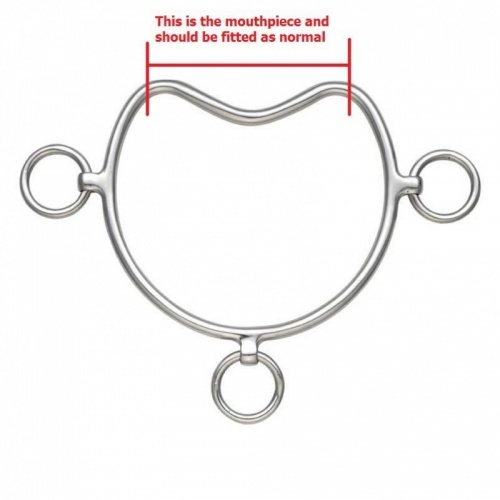 Fitting the Chifney bit - the 'mouthpieces' is fitted high enough in the mouth to prevent the horse from getting the tongue over, see the image for extra information on fitting. 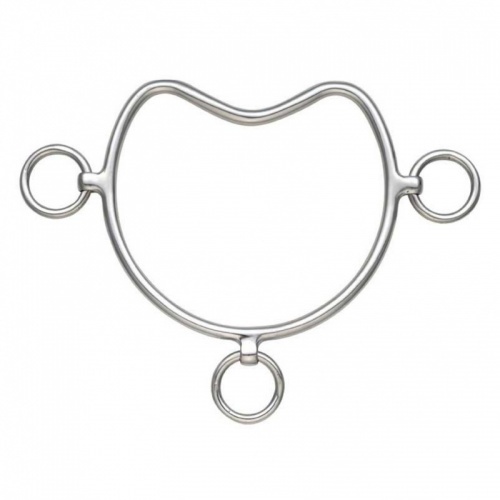 How to Use the chifney bit - when fitted correctly the bit should sit horizontally in the horses mouth, with the lead rope attached to the central ring. Under no circumstance should the leader 'hang' on the lead rope keeping constant pressure but use short sharp tugs giving reward for good behaviour, eventually just fitting the bit should be enough to stop unwanted behaviour. This is a severe type of bit.